IF YOU have been to a Christmas event in the past two weeks, chances are the Proserpine Citizens' Band has had you dancing along to the favourite festive season tunes. 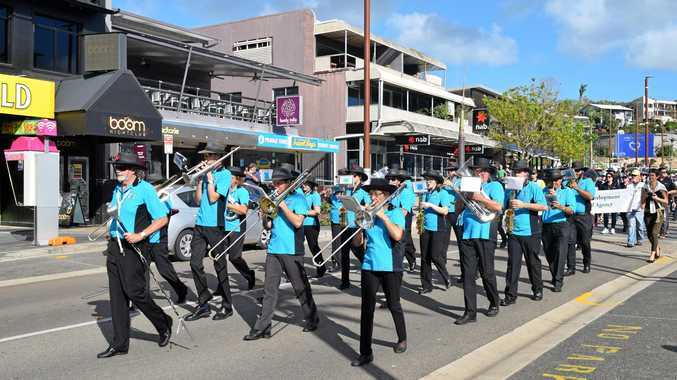 The 20-30 strong community band has played an incredible five silly-season gigs in the past two weeks and has two more scheduled in the next two days, starting tonight at the Proserpine Rotary Christmas Fair. Band member Barbara Balma said the Christmas period was the busiest time of the year for the band, which played four days in a row at the start of the month. For band members the hard work usually begins two months ahead of the season when rehearsals for the repertoire of traditional and secular Christmas songs start. With most of the shows under their belts, Mrs Balma said there was plenty of fun to be had for the band and their audiences. "Sharing their love of music and the joy of Christmas with other families across the region is an absolute pleasure,” Mrs Balma said.